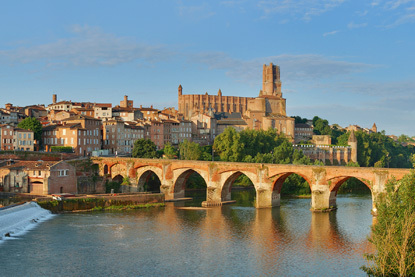 The Midi-Pyrénées is the largest region in Metropolitan France, covering 45,348 km² (17,509 sq mi) - more than countries like Denmark, Switzerland or the Netherlands. 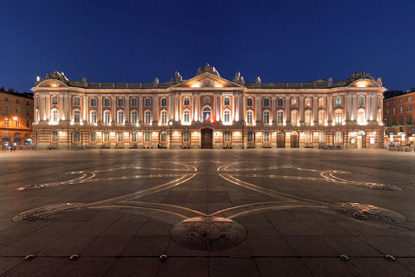 It is also one of France's most sparsely populated area, with barely 2.8 million residents, among whom 1.2 million live in the Greater Toulouse area. This leaves only 1.6 million people spread over a territory the size of the Netherlands (which has over 16 million inhabitants). The modern administrative region is an amalgamation of widely divergent historical provinces and pays. 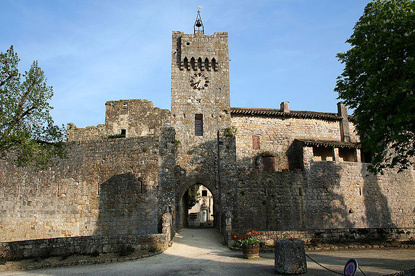 One quarter of the Midi-Pyrénées was taken from Gascony (the southwest), another quarter from Languedoc (around Toulouse), a fifth of it used to be Rouergue (present-day Aveyron), 15% comes from historical Quercy (modern Lot), and the rest from small Pyrenean provinces (Foix, Couserans, Nébouzan, Quatre-Vallées, and Bigorre). 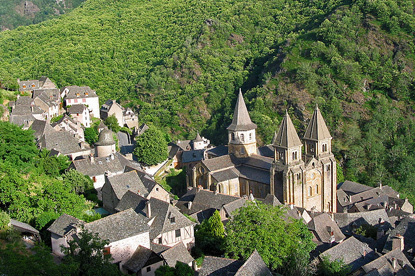 In the north, the Lot has green rolling hills and lovely ochre stone villages, while the Aveyron is mountainous and forested, and dotted with rustic towns built on rocky terrain. The sun-baked plains of Lower Languedoc in the middle are sprinkled with bastides (fortified medieval towns) with an emblematic pinkish appearance. 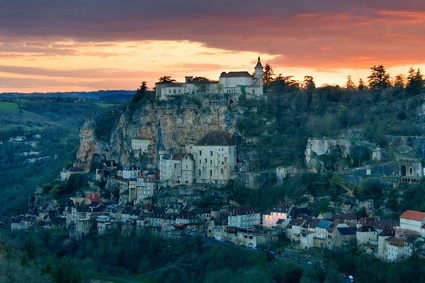 The south is occupied by the foothills of the majestic snow-capped Pyrenees, a rural and austere region that will attract hikers and nature lovers. 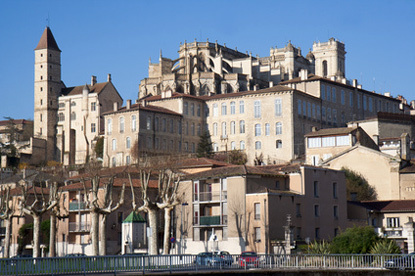 People in the Midi-Pyrénées have a reputation for liking to take things slow, eat well and enjoy life. 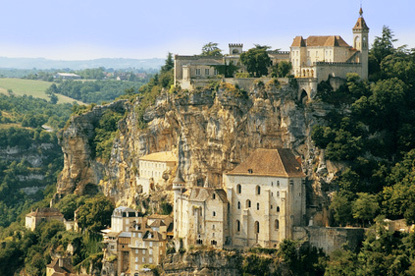 Culinary specialities include foie gras, cassoulet, confit de canard, and roquefort cheese. 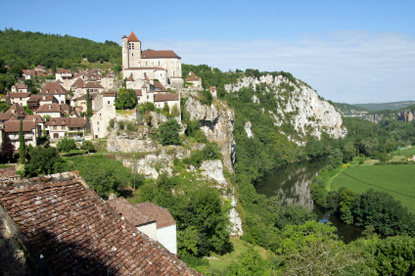 Although it is not a wine-growing region, Cahors does produce its own robust, tannic red wine, while the Armagnac region (in the Gers) is famous worldwide for its brandy. 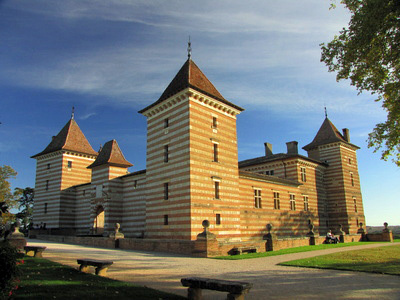 Famous people from the Midi-Pyrénées include (chronologically): the musketeer d'Artagnan, painter Jean-Auguste-Dominique Ingres, the egyptologist Jean-François Champollion, the poet and novelist Théophile Gautier, the statesman Léon Gambetta, WWI Marshal Ferdinand Foch, socialist leader Jean Jaurès, painter Henri de Toulouse-Lautrec, and President Vincent Auriol. 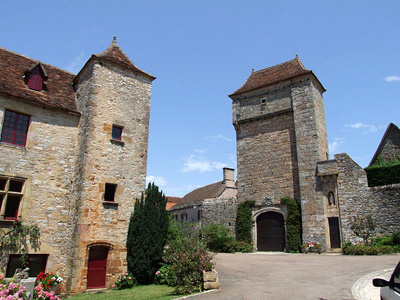 Larressingle is a small but heavily fortified village 6 km west of Condom. 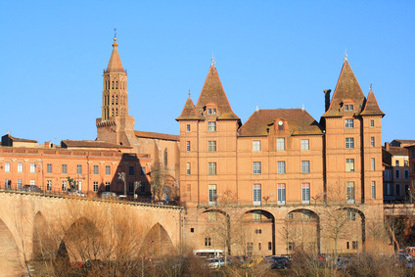 Dubbed the 'Little Carcassonne', its Cité des Machines du Moyen Age is an excellent place to get acquainted with medieval siege weapons. 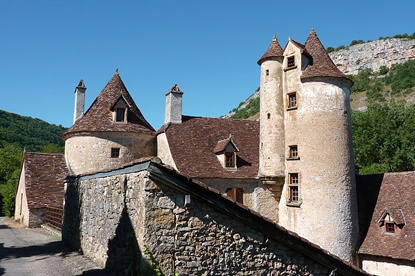 Laréole is a Renaissance castle characterised by its striped brick and white stone architecture. 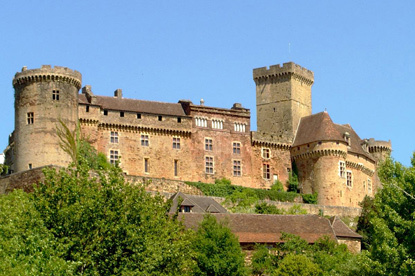 It was built in 1579 for Pierre de Cheverry, a wealthy pastel maker from Toulouse. 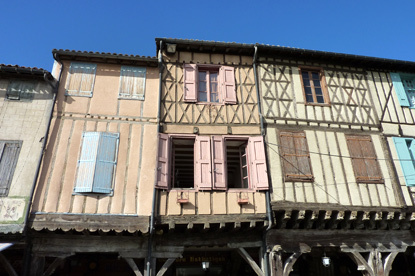 Historic town of the Cathar country, Mirepoix has managed to preserved an appealing market square wholly made of 16th-century timber-framed houses.